Welcome home to the private gated community of Duna La Quinta. 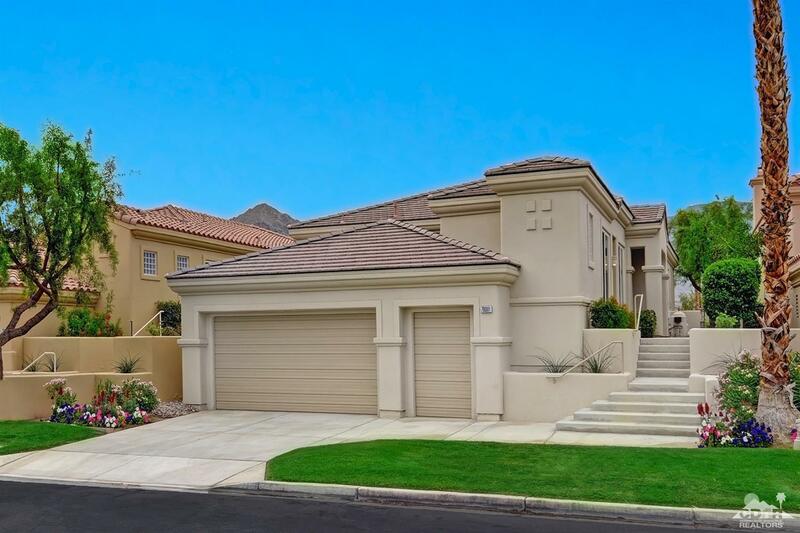 This home overlooks the fairway of the La Quinta Resort Dunes Golf Course. Entertain, relax on the private patio or take a dip in the private spa while taking in the beautiful mountain & golf course views. Features include 3 bedrooms, which one bedroom is an attached casita with private entrance, 3 full baths. This spacious open floor plan is great for entertaining. Large kitchen with island, pantry and a bar that can seat 6 bar stools. Ceiling to floor windows in family room & master suite provide magnificent golf & mountain views. Large master suite has a nice walk-in closet, sitting area with sliding door to outside spa, master bath has soaking tub, shower and dual master sinks. Duna La Quinta is located close to shopping, restaurants, hiking, biking, award winning tennis and all that the desert has to offer! HOA dues includes exterior home maintenance and front landscaping, 3 community pools. Bring offers! © 2019 Desert Area Association of Realtors . All rights reserved. Information deemed to be reliable but not guaranteed. The data relating to real estate for sale on this website comes from Desert Area Association of Realtors and the Broker Reciprocity Program.sm. Real estate listings held by brokerage firms other than HK Lane - Christie's International Real Estate are marked with the BR logo and detailed information about them includes the name of the listing brokers. All measurements and all calculations of area (i.e., Sq Ft and Acreage) are approximate. Listing broker has attempted to offer accurate data, but buyers are advised to confirm all items. Information last updated on 2019-04-18.